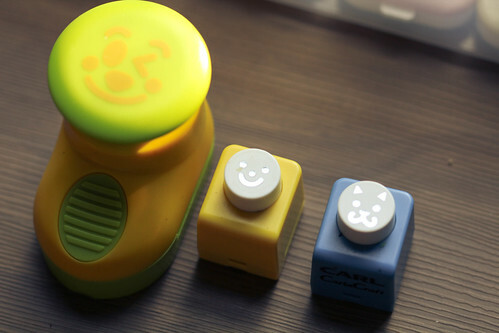 Nori Puncher is a very useful tool if you are want to make Charaben (Characters lunchboxes) It comes in many shapes, sizes and colors. 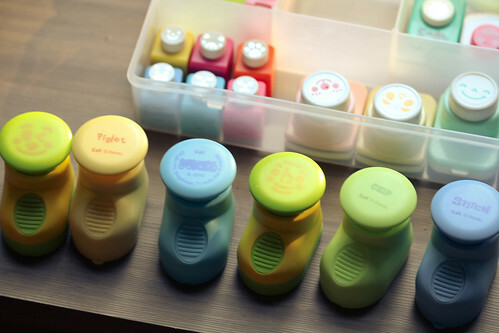 Though having a variety makes the bentoing faster and easier, you do not need a lot to get the job done. I will share with you what I own, and give my own reviews on them. 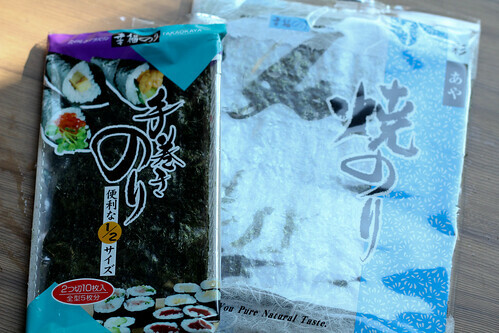 I will also share with you on the 2 different types of Nori that you can use. The shoe punchers are my favourite and I highly recommend them. The quality is good, they are easy to use and cuts well. These comes in a set of 3. 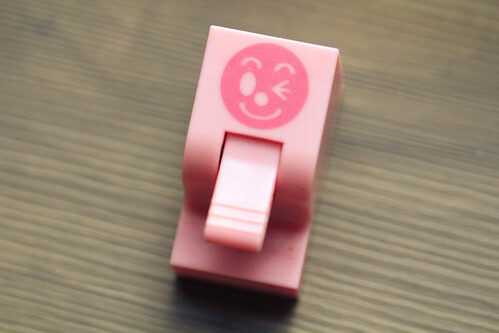 They are easier to use than the Daiso punchers, but not as good as the shoe punchers. For the price they are worth, I think the shoe punchers are a much better investment. These are from Carla Craft, they are used for punching paper, but they work well on nori as well. These are good, they punch well and are lasting. They are good when you want smaller cut-outs, as the cut-outs from the other punchers are bigger. There are 2 kinds of seaweed, seasoned(the left one in pic) and unseasoned(the big packet on the right). The seasoned ones are more difficult to keep, and they soften really fast once opened. And seasoned seaweed might also kill the lifespan of your puncher. So, most people prefer to use the unseasoned seaweed. 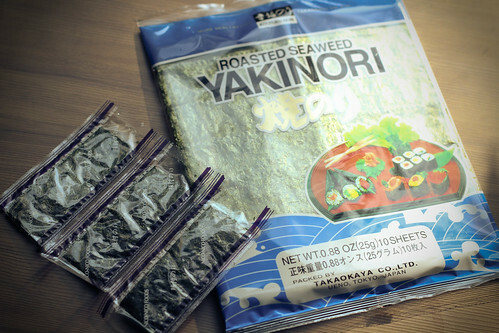 I usually buy both types, that is because my boys like to eat the seasoned seaweed as a snack. 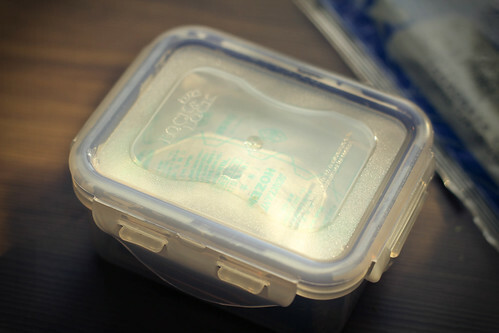 For storing, you can keep them in a ziplock bag with the desiccant at room temperature. 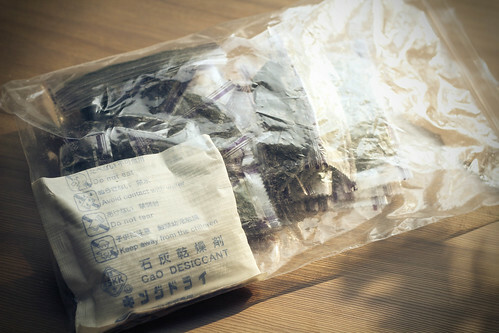 As for the unseasoned seaweed, I usually cut up some and store them in an airtight container, with the desiccant. I will store some uncut sheets in ziplock bag as well, as I use them for sushi. This is the brand of seaweed I usually buy, it's darker than the seaweed I shared previously in this post. I have yet to get the hang of nori punches. 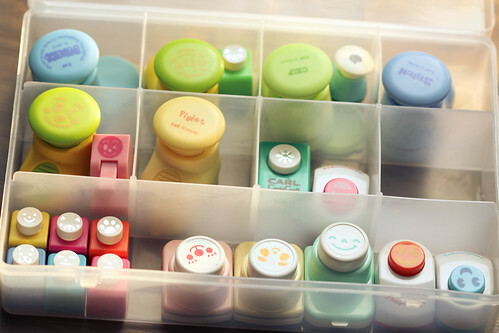 (I have the Daiso set). Not sure where to get more punches, and the last time I tried to buy nori, I was SO confused by the selection. LOL. Hi Glory! I'm glad you find it useful. :) Tks for the idea, I'll add in a small part on the nori tomorrow after I take the pictures. 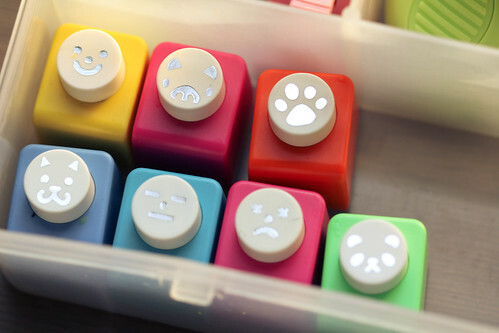 :) You can check out the online bento stores link on the right of my page, some of them carry quite a range of punchers. WOW...what an amazing collection of nori punches. I just have the one that makes the different face parts. Ohh I'm so happy that you made this post. I have been looking for these 2 green multi-face shoe punchers EVERYWHERE on the internet, couldn't find them !!! 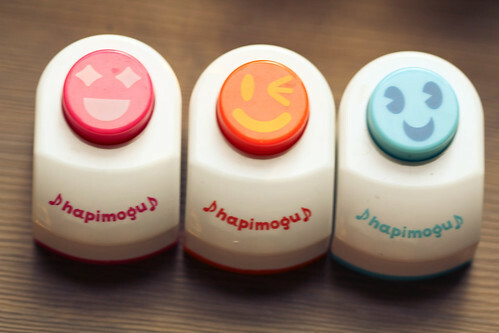 I really really want to order them, and other as well. Do you know a good website that delivers in France ?? I would love to know... I saw that you have one with "stitch" written on it, does it make stitch face for nori ??? Thank you in advance for your answer !! Wow! I'm so glad I came across this page!!! 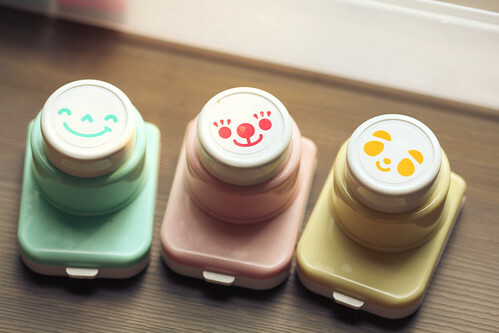 I was deciding between buying the multi face and Winnie the pooh punch. The will be my first puncher. Which do you think i should get? Thanks so much for your advice! Have a great weekend! Recently I saw on B&C and somewhere else that there's a nori cutter, not puncher. At least, it seems to be. Instructions are not clear to me, do you think nori can be cut accurately with a plastic cutter something like a cheese/ham cutter? Or if you have any already, please share feedback! Sorry, Lulu, I nvr tried or own one of those b4, so can't really help. I don't want to give wrong info or mislead u, maybe try checking at ezbento to see anyone owns one? Or check with the bento sellers like jmama? I bought it at Tokyu hands. It was a few years ago. I can't recall whether they still carry it when I went last year. You can try. can I know where to get those punches? do they sell in orchard? I wen to daiso but couldn't really find what I want. Which ones are u looking for? I've not been to orchard for some time, not sure what bento tools they hv there now. Hi Ming. Do you pre prepare your nori cutting a night before? I'm new in this and doing very slow. 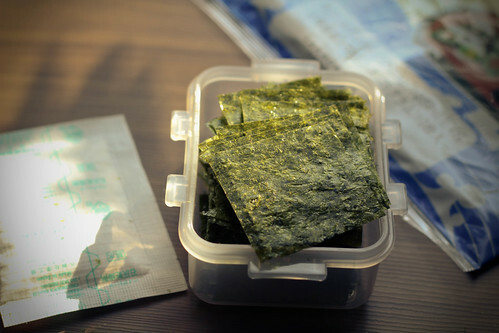 I cut the nori, keep in airtight container then put inside fridge. But the cut nori all "wrinkled " or softened on next morning. Please advise. No, I've not done that before. I've only done nori onto cheese, and then left overnight in an airtight container in the fridge. Cut nori usually soften quite fast in our weather, maybe try leaving at room temperature with a desiccant in airtight container. Thanks for your generous advice! Appreciate it! I've not oil them b4. I usually just clean with a wet cloth and then dry with kitchen towel. So far, the multi shoe punchers and Carla craft ones that I recommend are still working fine, had them for more than 3 years. Oh yah, can sharpen my punching aluminum foil but I never try out myself.